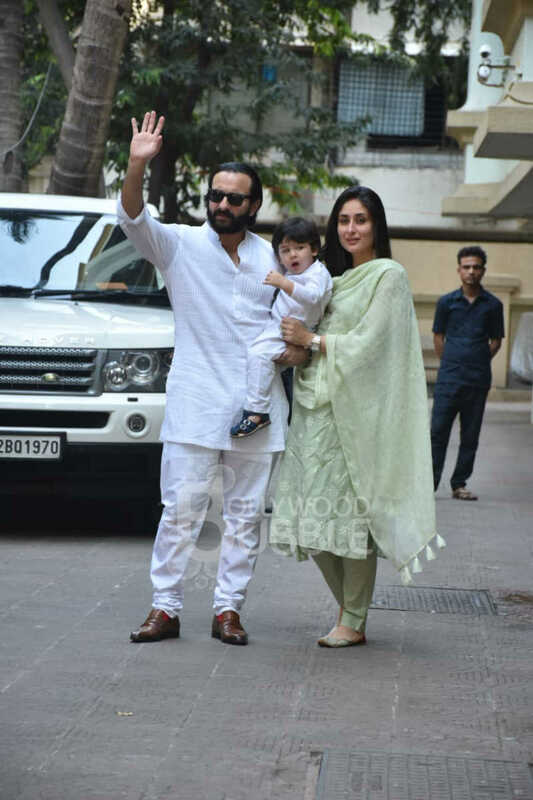 Kareena Kapoor and Saif Ali Khan's son Taimur looked adorable in a white kurta and pyjama. 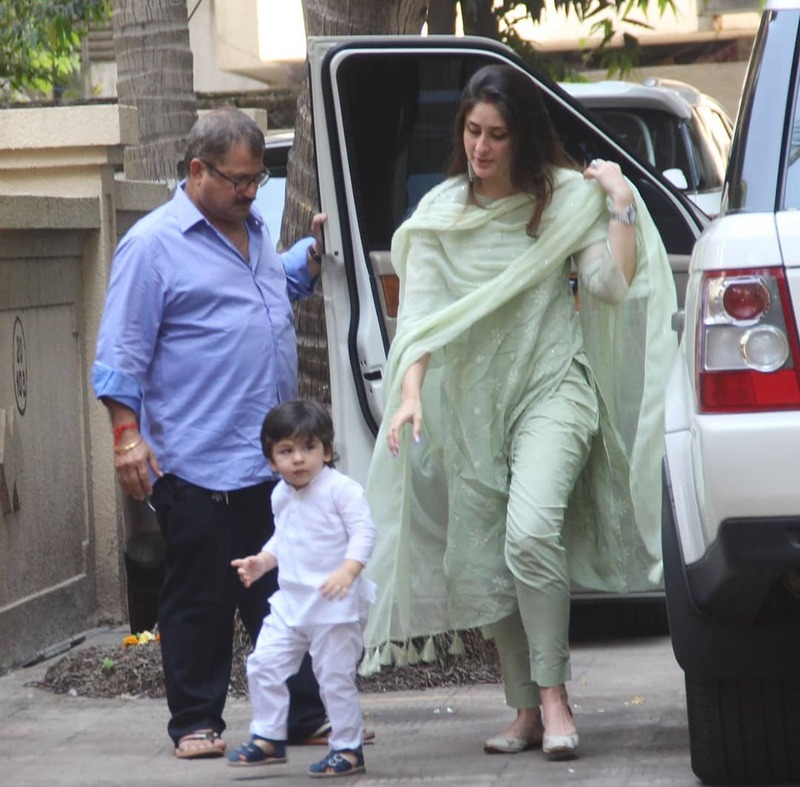 The munchkin was spotted with his mother Kareena Kapoor as they visited Karisma Kapoor's house for Diwali puja. 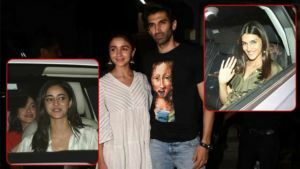 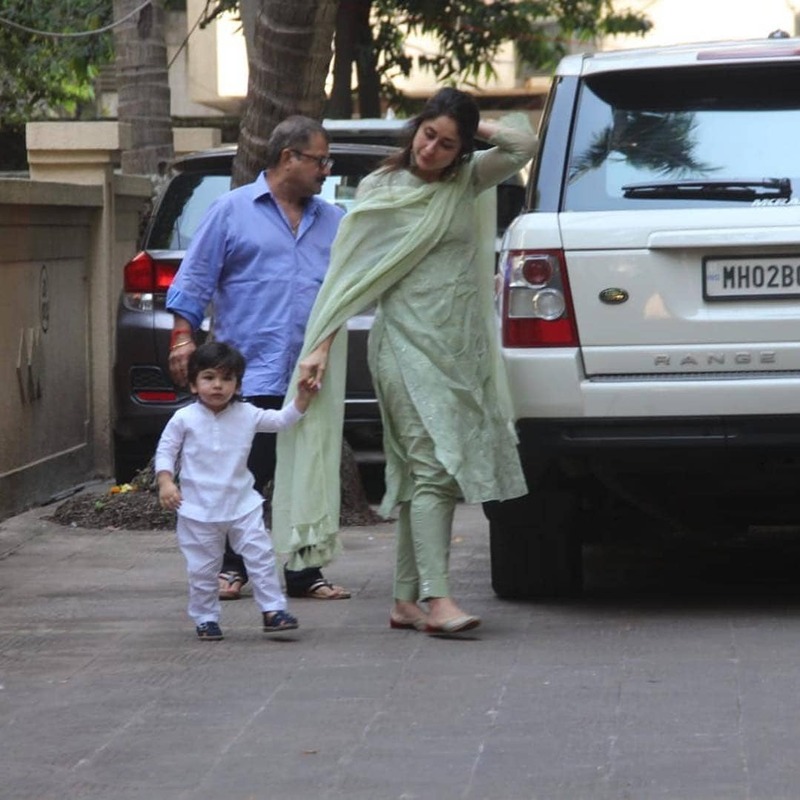 Pictures of Taimur holding Kareena’s hand as they stepped out of their car is winning hearts on the social media. 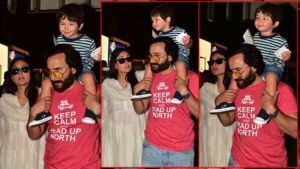 Taimur was twinning with his father Saif in white as they posed for the paps with Kareena. 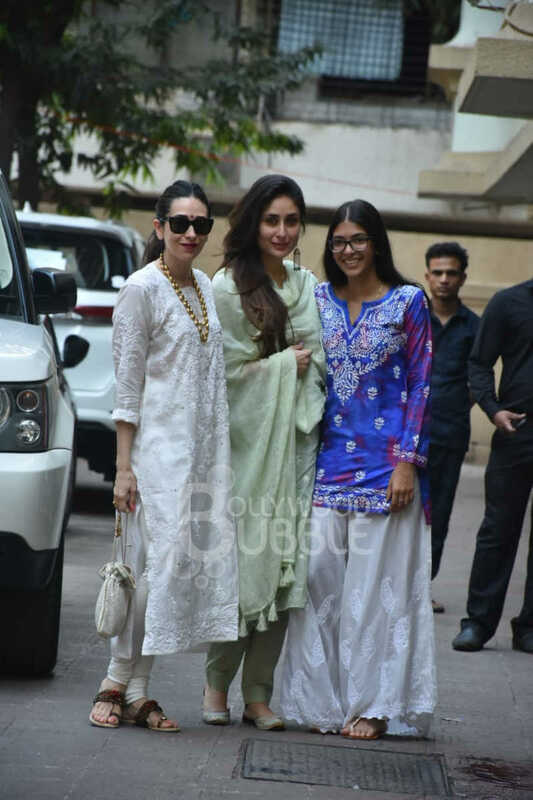 Kareena in a pistachio traditional wear with sister Karisma in white and niece Samaira in blue looked picture perfect as they posed for the media. 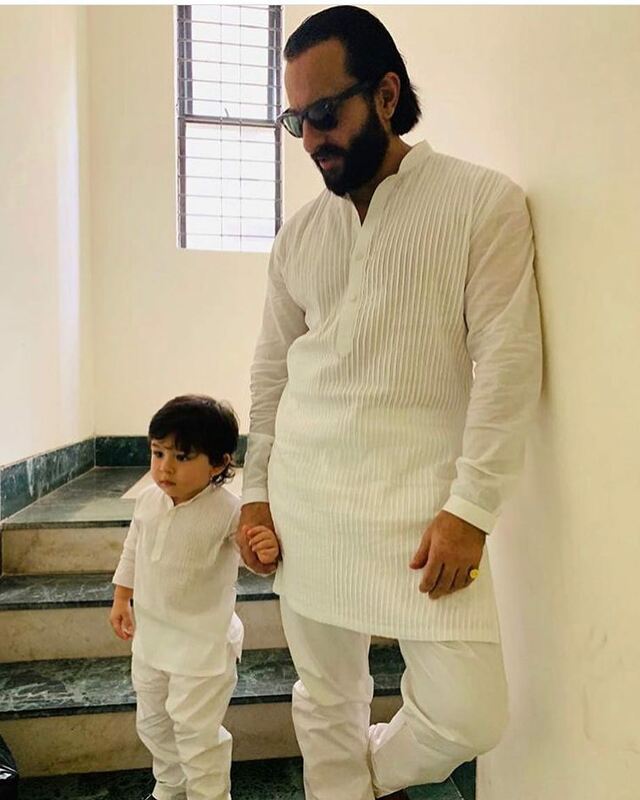 The father and son duo seem to be waiting for the ladies to join them. 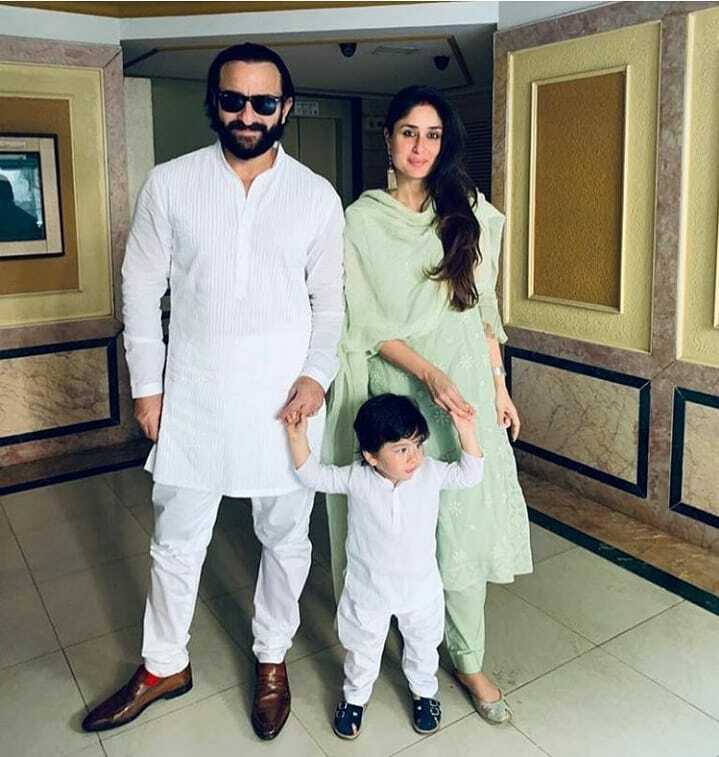 Check out this picture perfect moment caught on camera.